Earlier this year I wrote an article for VICE's music site Noisey about how there will never be another pop star like Phil Collins and while it's a subject I'm passionate about, I never expected the massive response that I would get from folks all over the world about the piece. In fact just last week I got a tweet from a guy in Orlando, Florida, that said, "just read your piece on Phil Collins. Great job. Glad to see someone giving him the respect he deserves as a musician." That article focused mainly on the fact that what Phil Collins was doing both musically and aesthetically in the eighties and nineties is so at odds with what's happening in today's pop music climate yet still remains universally embraced, but I didn't have a chance to also discuss how brilliant the act who put Collins on the map were as well. 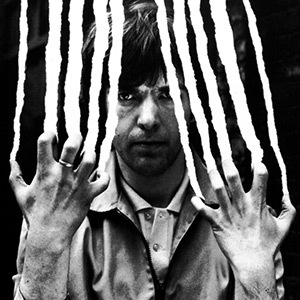 Genesis were formed in England in 1967 and the original lineup consisted of vocalist Peter Gabriel (who would go on to have an impressive solo career in his own right), guitarist Anthony Phillips, keyboardist Tony Banks, bassist/vocalist Mike Rutherford and drummer Chris Stewart. Listening to the band's early recordings is a very different Genesis than the progressive pop act that most people are familiar with today. In fact, the group didn't truly come into their own until the band underwent some member changes in 1970, which included Collins joined the band as their drummer. Correspondingly the group's third album, 1971's Nursery Crime explored the idiosyncratic lyrics and extended arrangements that would come to define the band for the next five years until Gabriel left to allow Collins to take over lead vocals and the group slowly evolved into a more accessible pop unit. Many music historians point to Genesis' 1981 album Abacab as a major sonic shift for the album which managed to reconcile the band's love of new wave and art-punk with a softer pop edge. Despite the fact that not everyone loved the album (the group were famously booed off the stage while promoting these songs in Holland) the album marked the beginning of a more accessible yet equally engaging version of Genesis which would go on to persist for the next few decades and spawn plenty of radio staples. In the meantime Collins was also pursuing a successful solo career and Genesis' commercial breakthrough, 1986's Invisible Touch, could have better timing as it came on the heels of Collins' hit album No Jacket Required. 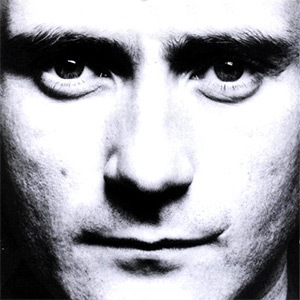 It's not often that a band's 13th album is their best-selling one but lead by singles "Invisible Touch," "Land Of Confusion" and "In Too Deep," Invisible Touch was teaming with hit singles that rivaled Collins' own solo compositions. It also birthed probably the most iconic video of the band's career for the aforementioned "Land Of Confusion." As I stated in my Noisey article my first concert was Phil Collins on the But Seriously tour in 1991 but what I didn't say is that my second concert was Genesis on the We Can't Dance tour later that year. To give you a sense of perspective, the sixth grade friend that I went with to this ran as the Republican candidate for County Recorder Of Lake County, Ohio, two years ago. (In case you were wondering, he lost but it was pretty close.) Like Collins' solo work the album was incredibly infectious but also very dark and personal as evidenced by the first single "No Son Of Mine." However my favorite song was the title track because unlike "No Son Of Mine" (which was also a great song if kind of depressing and intense) it had a sense of humor. This was mirrored in the self-deprecating video for the song which saw the band mocking Michael Jackson's wildly popular "Black Or White" video and showed that despite being one of the most talented drummers in rock, Collins indeed could not dance. Watching the video now the fashion may be dated but that sense of humor still shines through. Ultimately that dichotomy between complex yet accessible, bleak yet hopeful and cerebral yet commercial lie at the core of what make Genesis such an important band. 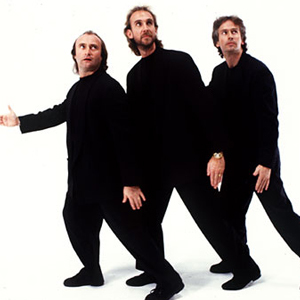 Although they released their last studio album Calling All Stations in 1997 and split up the following year, that didn't last long and the band's core of Banks, Collins and Rutherford have been playing together again as Genesis since 2006. In fact in recent years rumors have circulated about the band reuniting with their original frontman Gabriel and starting to play shows again. We won't hold our breath for that but even if Genesis never records another note we still have 15 studio albums plus countless bootlegs and greatest hits collections to enjoy. If you guys are reading this, we're so ready.